It is starting to get cold here in Toronto and wearing jackets is essential at this point. 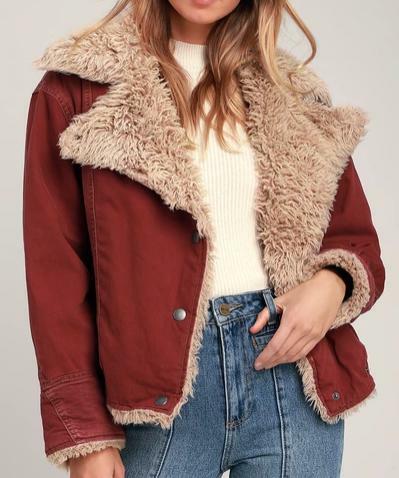 I have been on the lookout for a new fall jacket and I have spent so long looking at pictures online so I thought I might as well share my findings with you all! In my opinion, jackets are the main accessory to spruce up an outfit so I think investing in a good jacket is SO worth it! Here are the top 5 affordable fall jackets that I love! I’m in LOVE with this jacket. It is so unique looking and I love how warm and cuddly it looks! 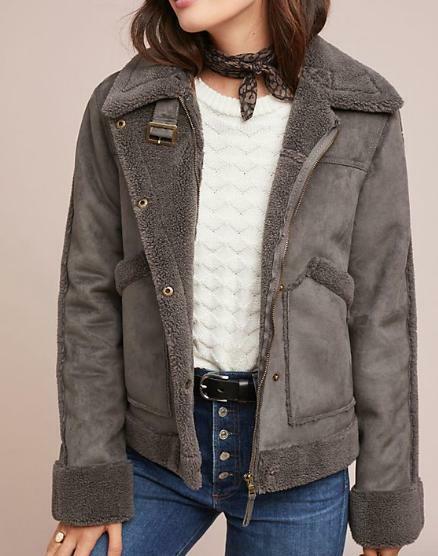 This jacket is from Anthropologie and is $178 so it isn’t cheap but I think that is worth the cost. I love how classy a white long coat looks! This jacket would be perfect to wear to dinner whether you are wearing jeans or a skirt! It only costs $89.95 Canadian and it is from Dynamite! 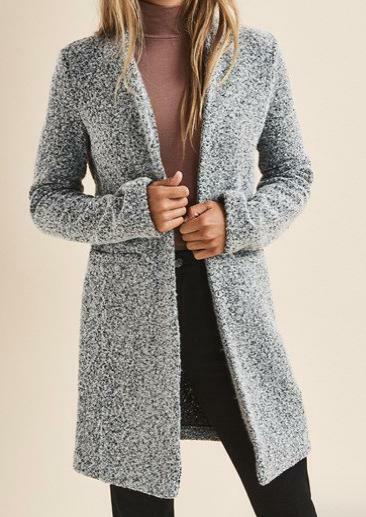 I wanted to include an inexpensive more casual looking coat and I love this beauty! This is a classic corduroy jacket mixed with the shearling look. 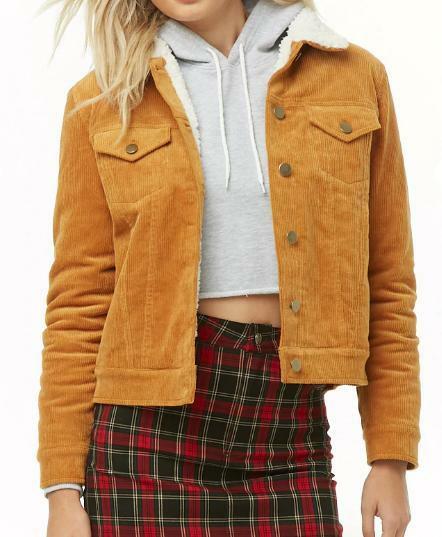 This is such a stylish jacket and it is only $39.90 from Forever 21! It also comes in 2 other colours: black and wine. This jacket is so classy looking. It gives a spin on the typical “teddy” coat and it is more unique looking. I love the length of the jacket and I love the colour. I am definitely buying this jacket. It is $89.95 Canadian and it’s from Dynamite! Okay so this is my absolute favourite coat that I found. I don’t know if its just because its the colour of wine but I think that this jacket is STUNNING! It is in my shopping cart as I type this. It is from Free People and it is $178 US but I don’t care because I am in love!!! 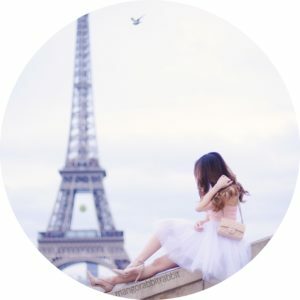 Those are the 5 beautiful jackets that I found for this fall! I want all 5 of them… Let me know which one was your favourite in the comments down below. PS. Want to keep up with ALL THE BLOGGER TRENDS THIS FALL? 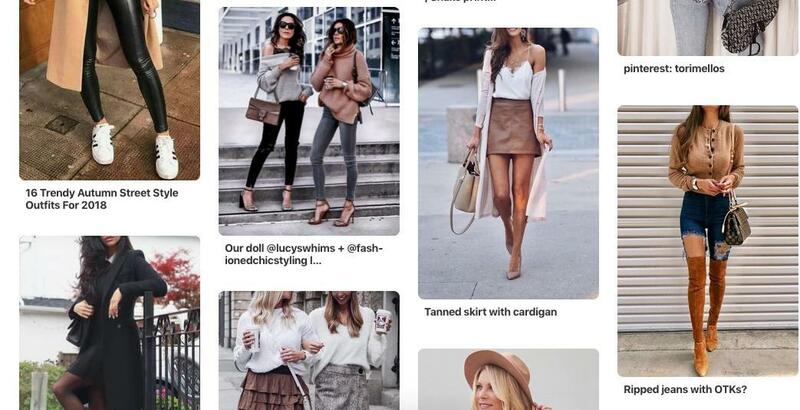 Then follow my Fall Styles Pinterest board! 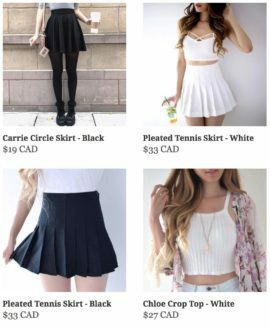 Next Post Top 30 Fashion Trends to Shop For this Winter!